What if the green-capped adventurer of the Zelda games was a little girl who lived in a mysterious floating city? In Second Quest, a graphic novel out today from writer Tevis Thompson and Braid artist David Hellman, the familiar motifs of the Zelda games get turned upside down in an original story that reexamines the legendary Nintendo games and video game culture itself—and recasts the green-capped hero as a fiercely curious young girl named Azalea. 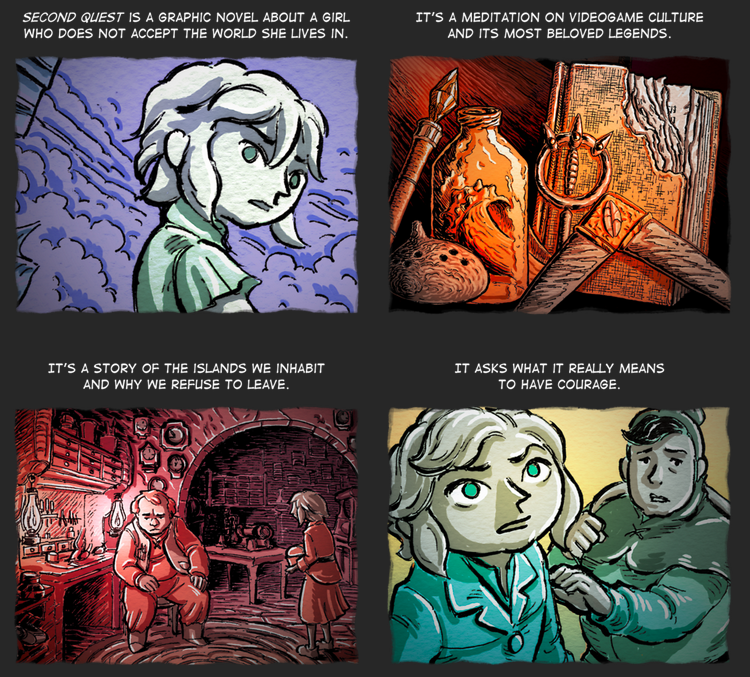 The graphic novel was originally inspired by Thompson's essay "Saving Zelda," about why he felt that modern Zelda games were "broken at their core," and the sense of discovery that he felt had been lost in newer titles like Skyward Sword. 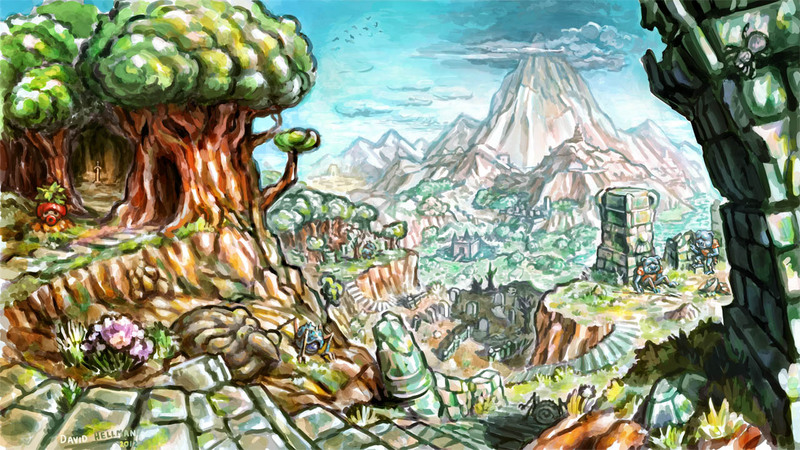 In response, Hellman drew a landscape that Thompson said evoked "just the sort of open, evocative world missing from recent Zeldas, the kind we were both dying to explore." In the terminology of Zelda games, a "Second Quest" is when you play through the game again after you've already won it, in a slightly rearranged version of the world where the dungeons, puzzles or enemies have been changed. In the reconfigured version of Zelda that we see in Second Quest, our hero is a young woman with a passion for exploring the forbidden ruins of her crumbling, restrictive city, and collecting the strange treasures that mysteriously link her to another world. 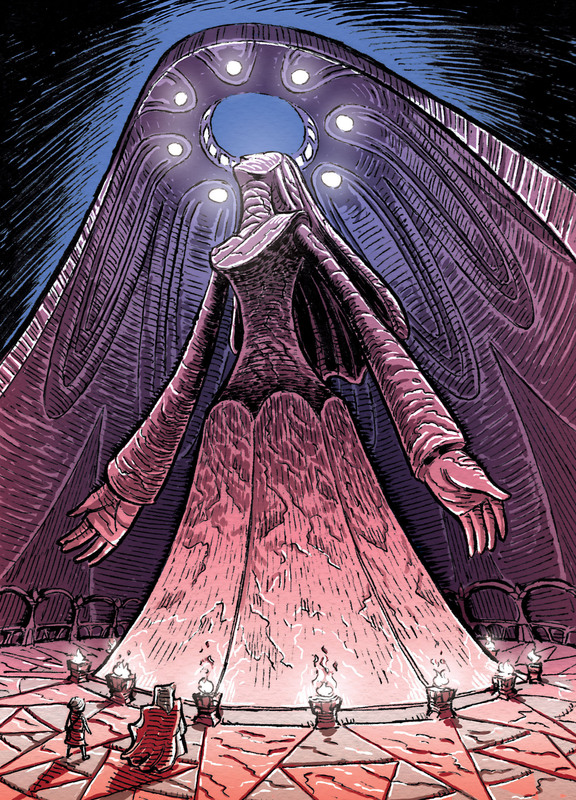 I'm a long-time fan of Hellman's art, which first caught my eye in the cult favorite dream logic webcomic A Lesson Is Learned and the Damage Is Irreversible, and later in the video game Braid. I've since come to know him personally, and offered feedback on an early draft of Second Quest. The project was originally Kickstarted back in late 2012—and originally slated for delivery August 2013—so it's taken a bit longer than expected. Personally, I think it was worth the wait. It's a lovely, evocative adventure tale that does something very different than the games that inspired it, but still manages to capture something essential about them. The book went on sale today for the general public; you can purchase an e-book version for $10, or a print edition bundled with an e-book for $25. Twenty pages of Second Quest are available for free online, if you want to check it out for yourself first. 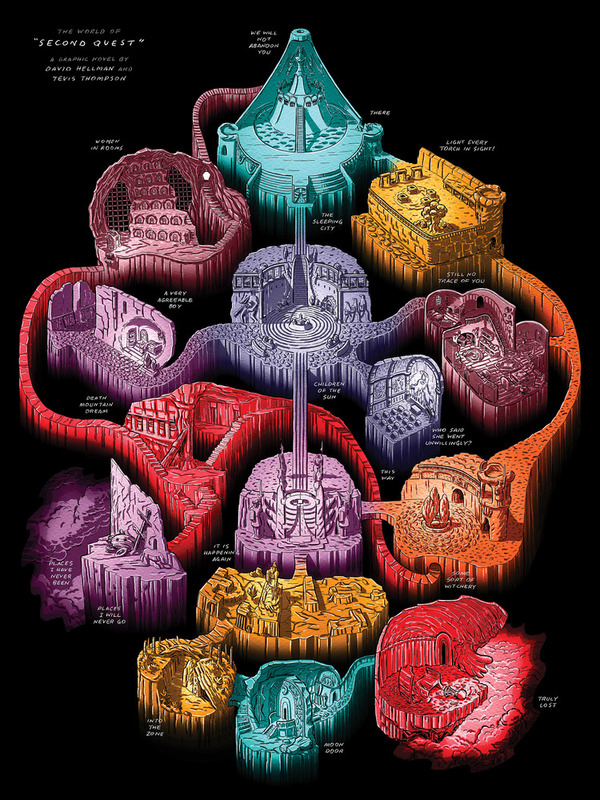 Also, if you're into world maps, there's a detailed poster of the cohesive Second Quest universe available for $12.